Canon McKegney retires from Governors. A presentation afternoon was held on Friday 27 March in The Armstrong Primary School to mark the retirement of Canon John McKegney as Chairman of the school's Board of Governors. Canon McKegney had served as Chairman for more than 20 years and throughout that time had shown tremendous commitment to the school. 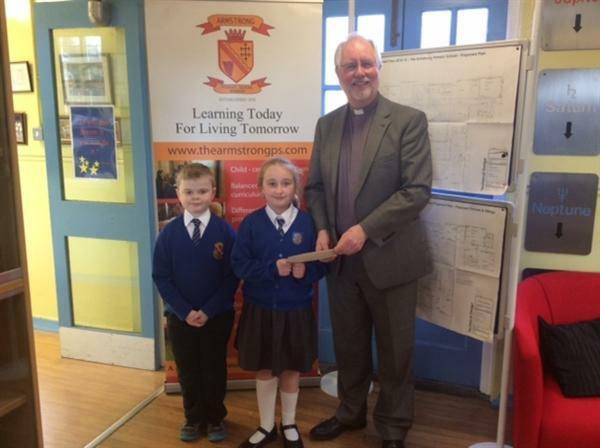 He was presented with his retirement gift from a P7 pupil and a P4 pupil.